What's Poppin' Tonight! 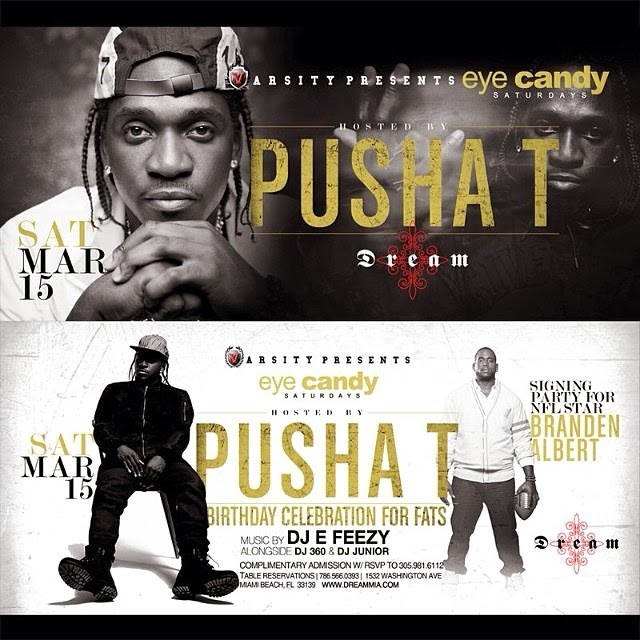 Eye Candy Saturdays Hosted by Pusha T + More at Dream Nightclub ~ Phresh Hott New! Join us as Varsity Presents Eye Candy Saturdays Hosted by Pusha T & Birthday Celebration for Fats and also Signing party for NFL Star Branden Albert + More at Dream Nightclub. Music by DJ E-Feezy along with DJ Junior and DJ 360.